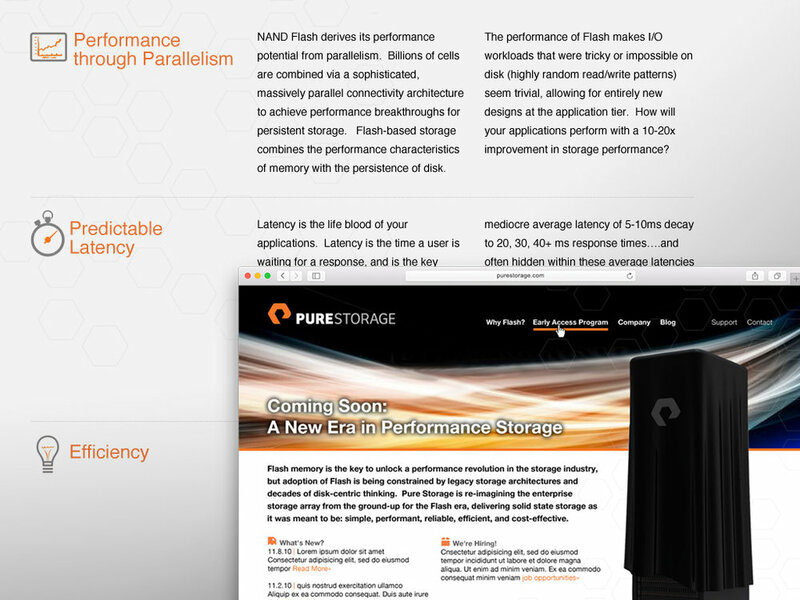 Pure Storage developed a revolutionary approach to offering server hardware and software using Flash RAM - a completely solid-state solution with speed that would dramatically change the landscape of storage forever. 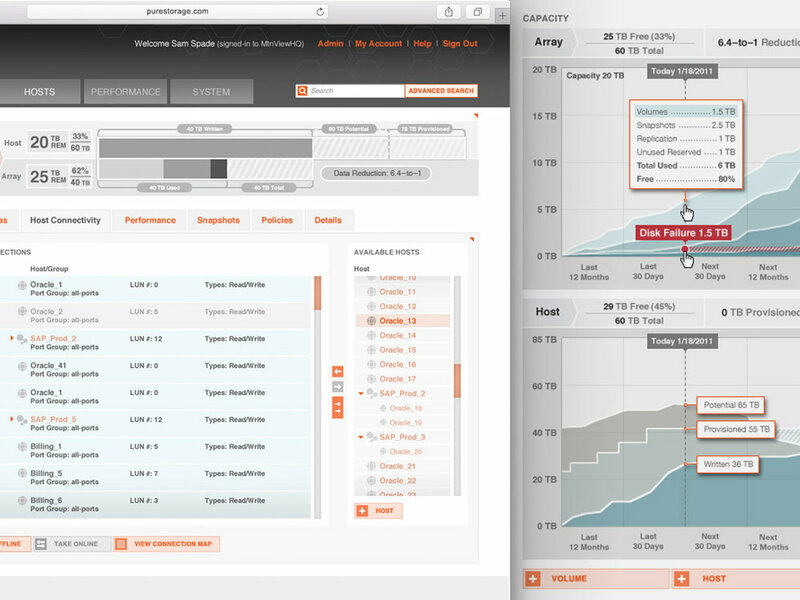 To control this technology, they needed both a brand that would be distinctive and a software user-interface solution that could meet the needs of technology experts that would be using it. 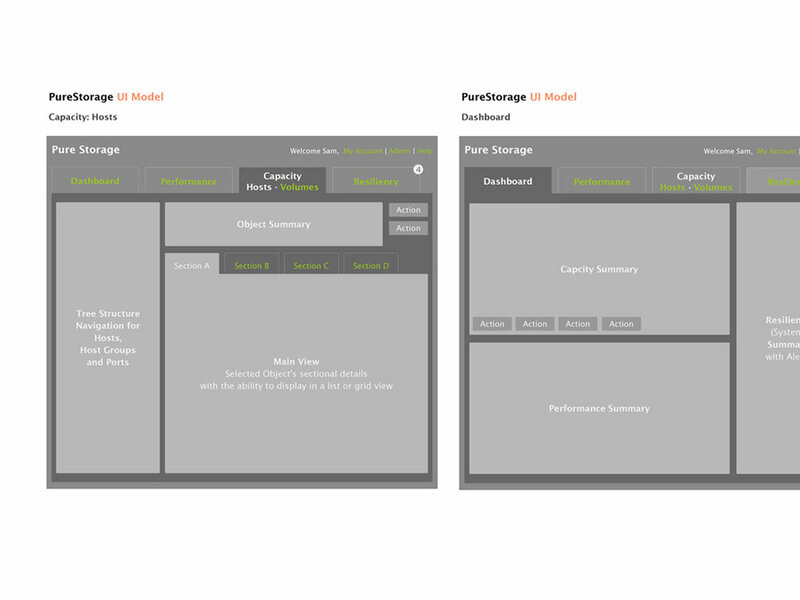 We started with one item that the company was eager to stick with. 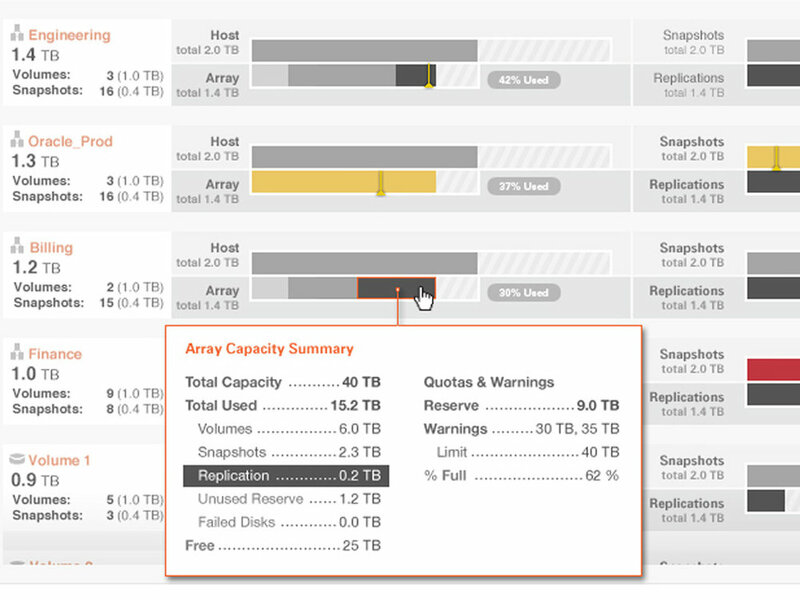 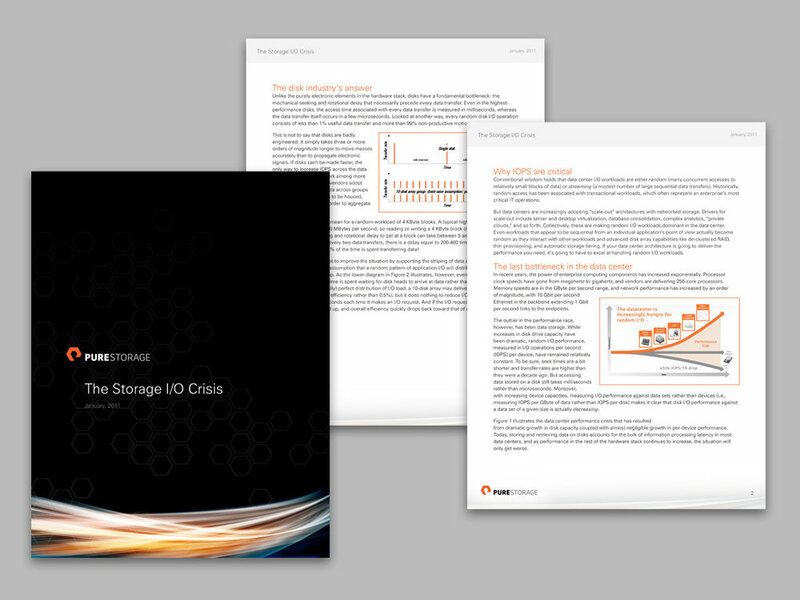 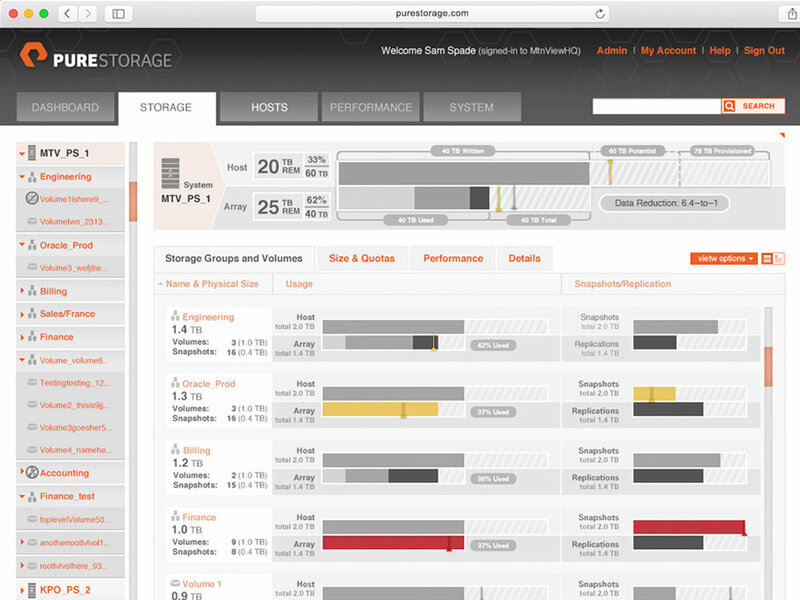 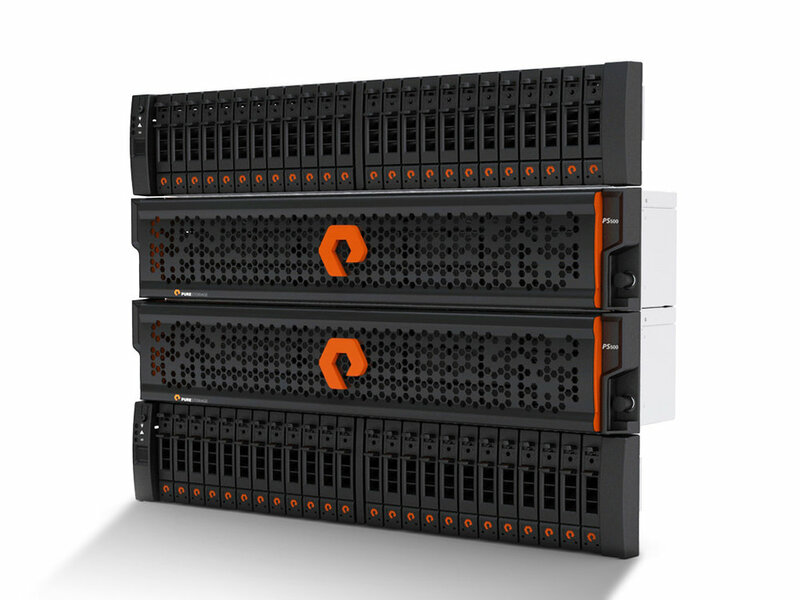 The orange symbol - suggests the high-build quality and strength of the PureStorage product. 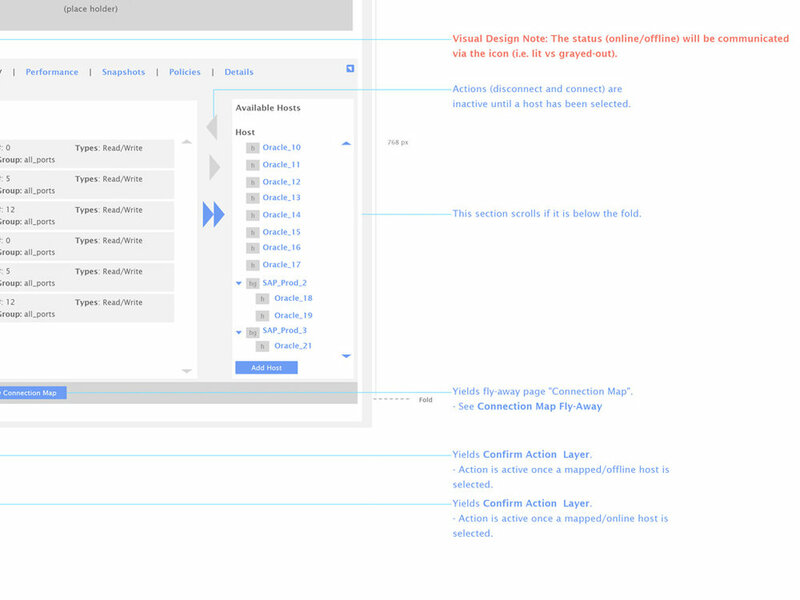 We built on that and quickly established a strong and comprehensive identity system that extended into collateral and the pre-launch Web site. 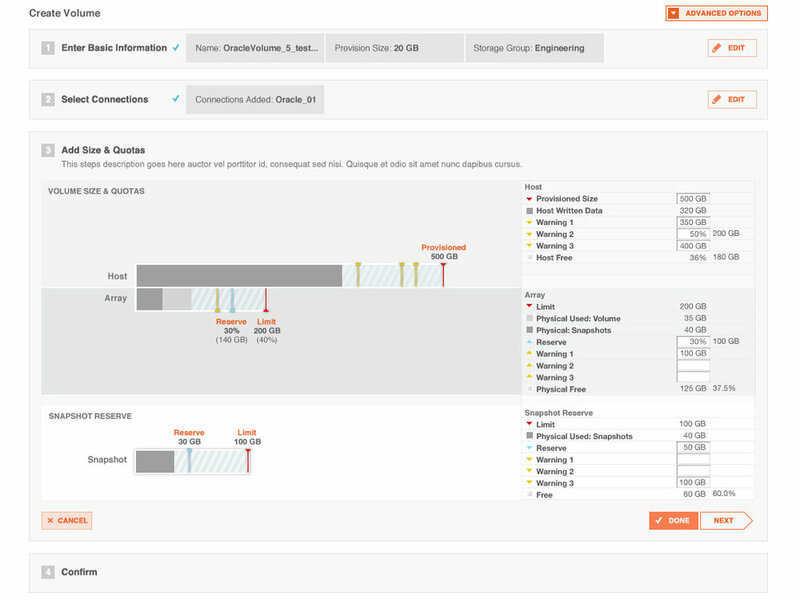 For the majority of our engagement, we worked with Pure's engineering team most importantly spent countless hours with their core user-audience to best understand their needs. 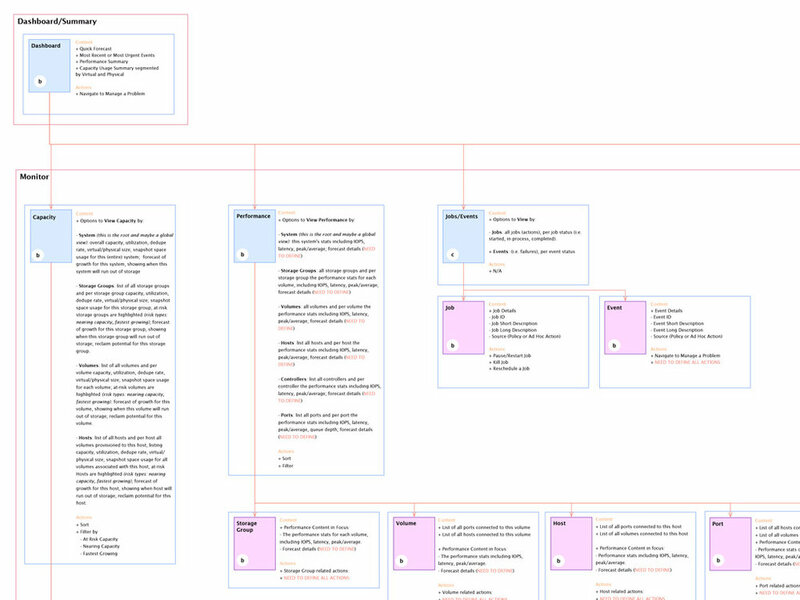 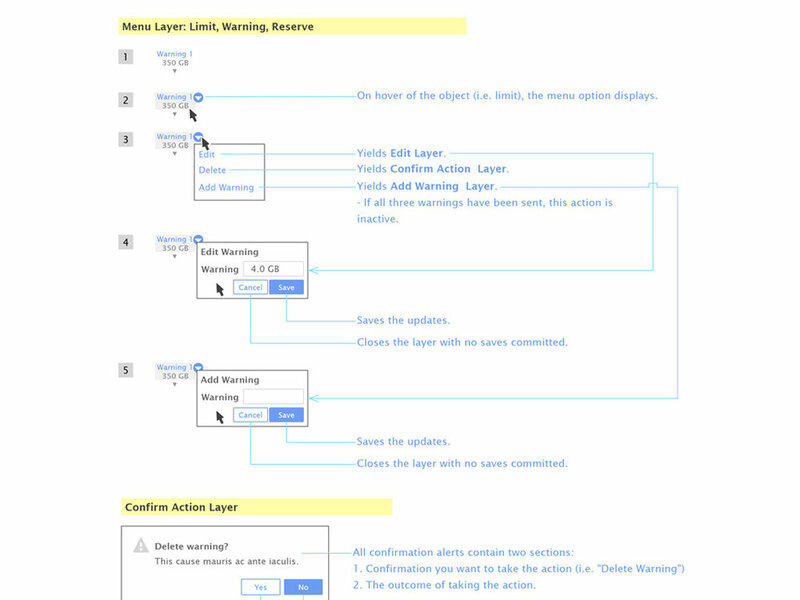 Our solution blends a very functional and simple organizational model with a graphic clarity that comes from our information design expertise in order to present a dense amount of information in a way that is still easy to read at a glance.